farnham rufc A 44 vs. 0 windsor R.U.F.C. 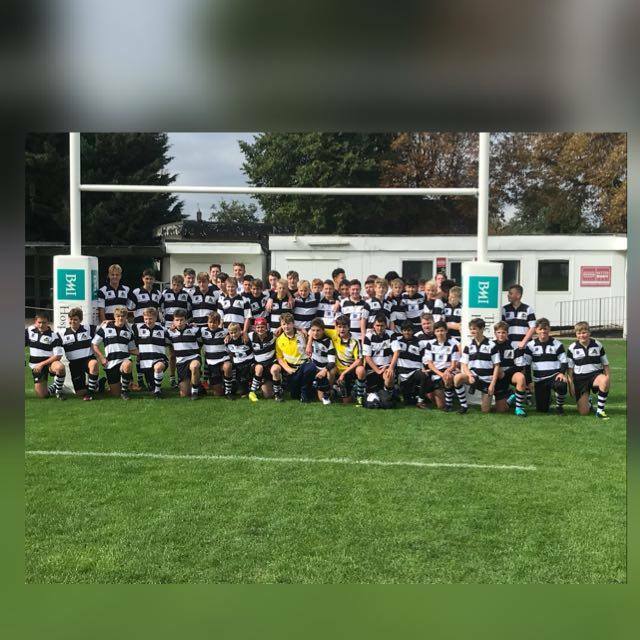 A - 21 October 2018 - U15s - Farnham R.U.F.C. From the first minute of the game Farnham tore into the opposition playing with pace poise and aggression. The patterns and speed of play was exceptional with all 15 players involved. Farnham scored three early trues against a plucky Windsor team who tackled well but ultimately could not cope with wave after wave of Farnham presssure. The pick of the tries came with the outstanding no 8 Louie Kirkham making ground from a scrum and three of four furthers forward drives with Jack Bammelmans, Laurence Lee and Aiden Hofma to the fore, the ball went out to MoM Tobias Trafford who pulled a pass behind Sam Hibberd on a crash ball to create a classic 3 on 2 finished with aplomb by Jake Sylvester. The second half brought more Farnham dominance and more scores including a second for Kirkham and a brave for the superbly adaptable and aggressive McKenzie McCann on the wing. It was a very grown up display of rugby played in great spirt and with huge energy and commitment on a beautiful day. The game finished a few minutes early due to a nasty knock to a Windsor player who we hope is ok. In all a great days rugby of which all the players can be very proud of.